A regional court in the eastern Siberian city of Chita has ruled to prolong former Yukos CEO Mikhail Khodorkovsky's detention period until November 2, 2008. 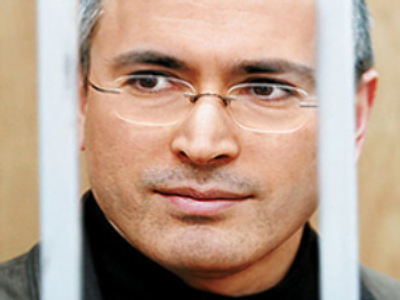 Khodorkovsky, the former boss of the Yukos oil company, was arrested in October 2003. In May 2005 he was subsequently found guilty of multiple charges, including tax evasion and money laundering, and sentenced to eight years in prison. In late 2006 a second criminal case was launched against Khodorkovsky, whereupon he was moved from the penal colony in the Chita region, where he’d been serving his sentence, to a detention centre in the same region. This second period of detention was due to expire on August 2. In addition, in June 2008 Khodorkovsky faced further charges of embezzlement and money laundering. Khodorkovsky will soon be eligible for early release from his original eight-year sentence if the authorities agree. But now the regional court in Chita, worried that Khodorkovsky might go into hiding should he be granted early release from his prison sentence, has ruled that he must remain in detention until November 2, at the very least. The agency in charge of the investigation believes the businessmen could also have an effect on witnesses' testimony in subsequent trials.